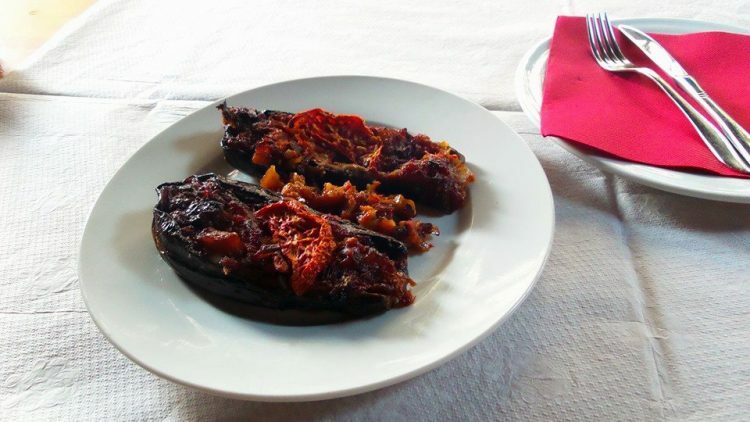 While there are hundreds of places that serve delicious traditional food in Albania – and, as we like to say here, “one is better than the other” – here we will only include the very best. Like many other countries in the Mediterranean and Balkan region, Albania has a great culinary tradition. Its position gives it a rare advantage as this country has only delicious influences from all sides (Turkey, Greece, and Italy, just to name a few). 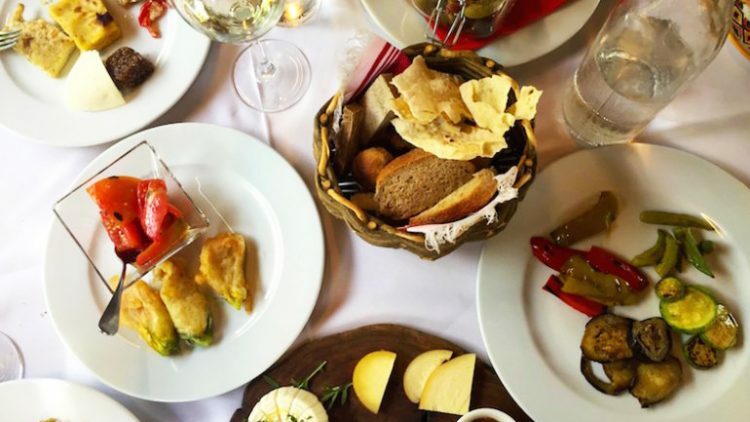 Until a couple of decades ago, Albanians would have preferred advertising their skill at impeccably cooking foreign dishes to their own but lately, they have realized the treasure that is the Albanian culinary tradition. Since then, countless amazing, traditional restaurants have opened which honor this tradition. Albanians are devoted cooks, chefs, culinary experts and general food and pleasure enthusiasts. Preparing a nice meal, enjoying fresh foods, being gracious hosts, and giving in to life’s simple pleasures are important activities for any Albanian! 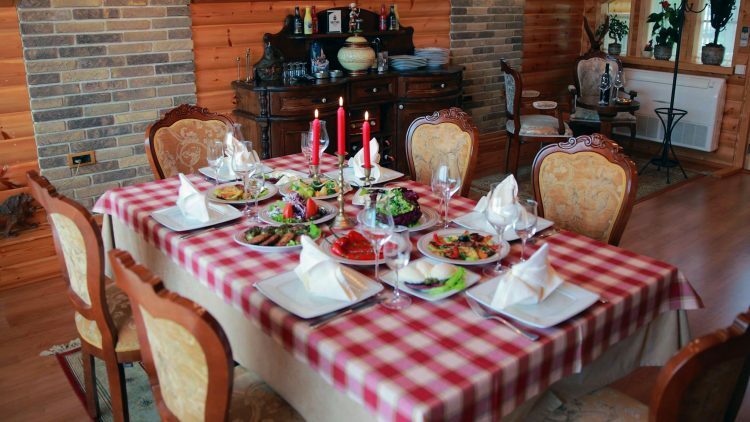 Without any further ado, have a look at some of the places where you will have the most scrumptious meals and feel the warm atmosphere that is so inherently Albanian. 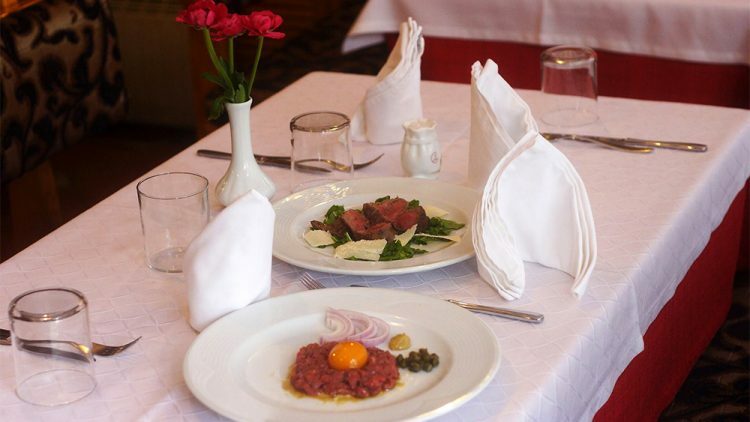 Named Tirana’s Best Hospitality and Fine Dining and mentioned in every list of recommendations of places to eat in Tirana, this restaurant has stolen the hearts of locals and tourists alike. 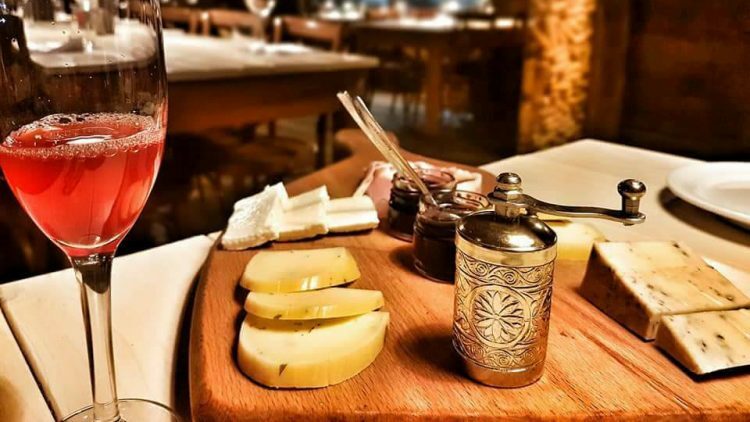 It is partly the charm of the famous chef, Bledar Kola, partly the beautiful wooden, rustic environment of this venue, and mostly the fresh menu with the most traditional Albanian dishes, including revamped pastries we would eat during Communism. Kola won 3rd place in the World Gourmet Society Best Plate challenge in Monte Carlo with a truly Albanian staple, one which hold s a special place in every Albanian’s heart but no other restaurant in town serves: trahana. Watch the art behind Kola’s trahana here! You can be sure to find similar other gems in this place. For the map click here. Right next to the hopping Pazari i Ri neighborhood, there is a small restaurant called Oda, one of ten restaurants to try in Tirana according to Culture Trip. 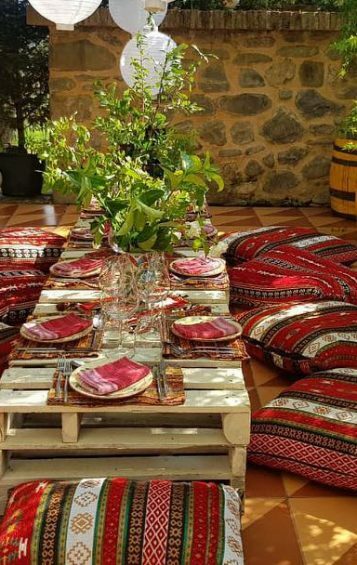 The name refers to the small rooms inside the traditional Ottoman homes in Tirana and the interior is decorated accordingly with low ceilings and tables as well as traditional carpets adorning the floor. The food is as authentic, delicious and very inexpensive, featuring roasted lamb, byrek, fërgesë, pllaqi, and so much more. You will also find the best selection of homemade raki here! Hailed as the beat meat place in town, especially their steaks and veal, this restaurant proves that the best things come in small packages. Located near the Artificial Lake of Tirana, the restaurant has a mix of Italian and traditional Albanian cuisine. The meats and poultry are cooked Albanian-style while the homemade pasta rivals that of Italy! These guys are great at dish-wine pairings, probably the best you’ll find in Tirana. Ultimately, this has become one of those well-kept places you simply cannot miss. Just read their rave reviews here. Built in 1992, this hotel-restaurant-bar is located in the legendary neighborhood of Don Bosko in Tirana. You need a good reason to visit this area and Bujtina e Gjelit (Guesthouse of the Rooster) is it! This bujtinë is masterfully built in traditional materials of iron, stone and wood. Most products served in the restaurant come from the “Gjeli Farm” and are purely fresh and organic. 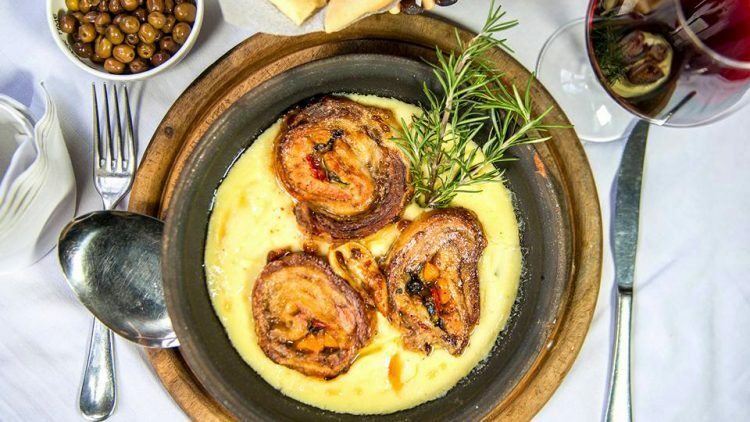 Using oven brick ovens and traditional equipment, the menu has a tasty selection of meats: rotisserie piglet, oven baked lamb, ember cooked sausages, byrek (traditional baked pie), are only some of the specialties here. 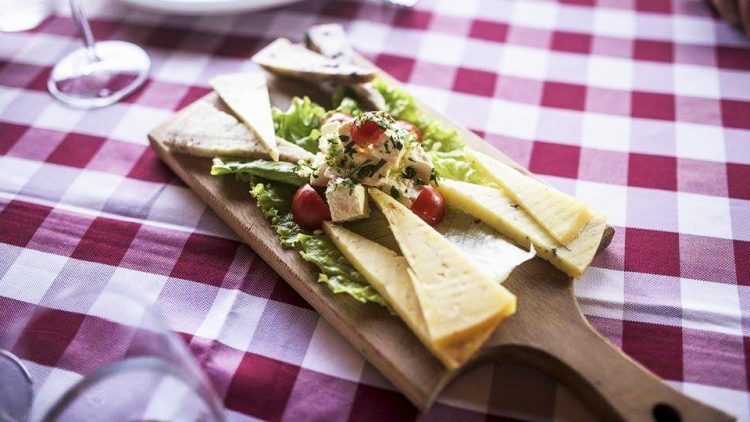 Located near the Mother Theresa International Airport, this farm-to-table restaurant is one of the must-sees in Tirana. The long, cool vineyards and the modern and open space of the dining area makes this a pretty great spot to relax after your plane lands, before you make it to the bustling city. Opened in 1996, this restaurant is run by a great young chef and winemaker, named Flori Uka. Their specialties include their wonderful homemade wine, cheese stuffed pickled peppers, lamb and locally made cheese, and much more. What you’ll notice is the freshness in everything you taste! Outside of Tirana, in the small village of Surrel in the Dajti Mountain, this restaurant serves traditionally Albanian food! Surrounded by turkeys and goats running around the beautiful hills of the village, this restaurant serves dishes not only in a traditional way, but in an antique way! Meat comes out in old iron skillets, raki in vintage vases, and everything smells of cherry pine. The fresh air and the warm atmosphere are worthy of a very long lunch or supper. 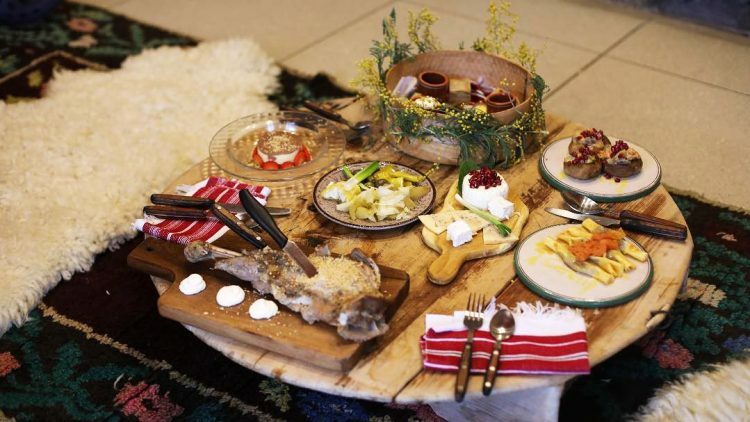 Some of the best dishes are flija e veriut (the northern pie prepared with delicious meat broth), pickled tomatoes, raw pumpkin salad, petka me hithra (homemade Albanian pasta), as well as fresh, homemade cheese. Not enough can be said about this unlikely haven right next to the capital. A local favorite since it first opened in 2002, this restaurant has some of the best traditional Albanian cuisine and some of the most delicious dishes from the northern region of Dibra. 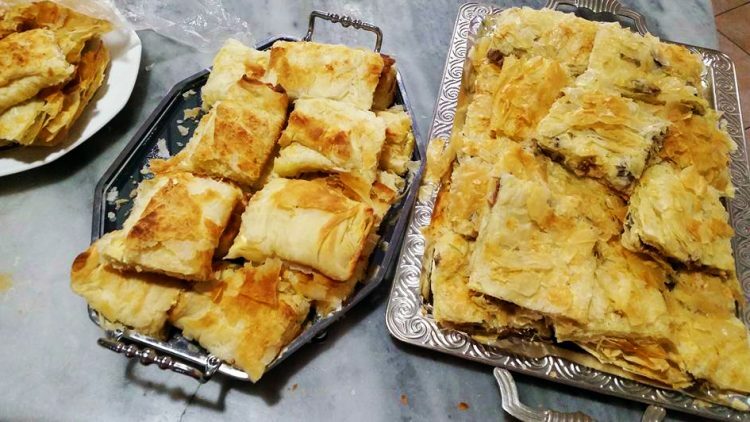 In addition the meat, especially lamb, the two legendary plates to try here are jufka (amazingly buttery, fluffy pasta) and the most delicious Albanian dessert sheqerpare, a melt-in-your mouth buttery, syrupy goodness. In Albanian sheqer means “sugar” so you can only imagine the sweetness level on this one! Located near Lezhë, this farm-to-table restaurant and vineyard has slowly become quite the legend among food enthusiasts and for good reason. Hailed as one of the most innovative, organic, authentically Albanian restaurants, this place has is packed on a daily basis so you have to make sure and make reservations. Do not skip on any of the dishes suggested by the waiters, they are not trying to sell you more but simply trying to make you realize how amazingly delicious this food is! The appetizers are to die for: fresh cheeses, fresh pomegranate juice, locally made jams and more. The meats, the best you may have ever had. The roasted kid and lamb cooked in milk are some of the equally traditional and exotic delicacies to choose from. You can also spend the night in one of their beautiful rooms so you can turn dinner into a relaxing food and wine tour! 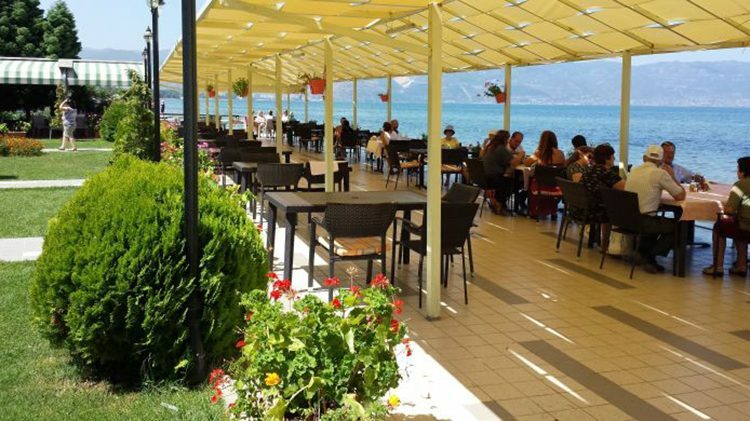 Tushemisht, near the city of Pogradec, is one of the current hottest spots to visit in Albania, famous for its great lake panoramas and fresh food. 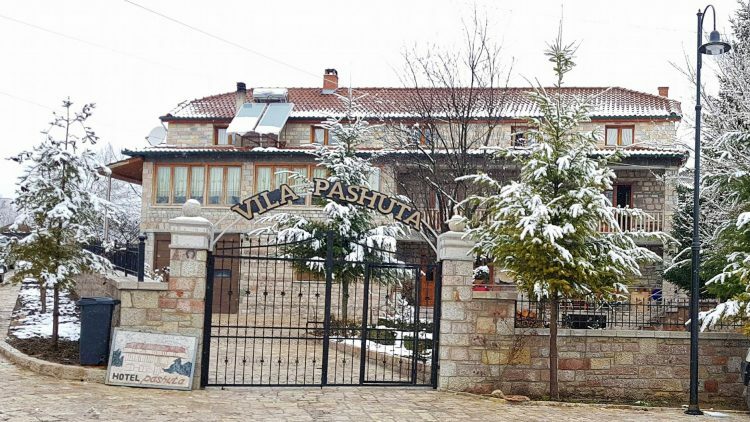 Hotel Millennium, located right across from Lake Ohrid, is also very well-known for its restaurant which serves fresh, traditional Albanian cuisine. Their fërgesë, a traditional Albanian staple made of peppers cooked in a fresh tomato and feta cheese sauce, and their freshly made feta cheese are pretty amazing! But, the next best thing to the beautiful view is ther Ohrid trout stew, which is the best kind of fish soup you will ever taste. If you choose to go to the beautiful, mountainous village of Boboshticë near Korçë, this is the place that you should not miss visiting. Located among lush green gardens, famous people flock to this traditional tavern like bees to honey – they know this is the best food to be had in this area which, by the way, has no shortage of delicious food. Any meal is a feast at this family restaurant which has the best lakror (a more delicate version of the traditional spinach or meat –filled baked pie byrek), assortment of pickled peppers and tomatoes, usually stuffed with fresh gjizë, Albania’s salty cottage cheese, and juicy meats. Fresh air, spectacular landscapes, fresh flowers that surround the great porch in Hotel Pashuta make this a heavenly place to enjoy the delicious dishes they serve. Located right outside Korçë and owned by a very warm and hospitable family, this place makes you feel at home as soon as you step in the door. Fresh organic food is prepared carefully and beautifully served in small portions of local delicacies including pllaqi salad (big juicy baked beans), trahana (a unique dish made of wheat, bread, olive oil and feta cheese), petulla (Albanian doughnuts), local fresh meats, and brick oven baked pies, all served with a very special blackberry raki. This place is for the adventurers out there and offers a once in a lifetime experience which includes camping, hiking, trout fishing, and more. 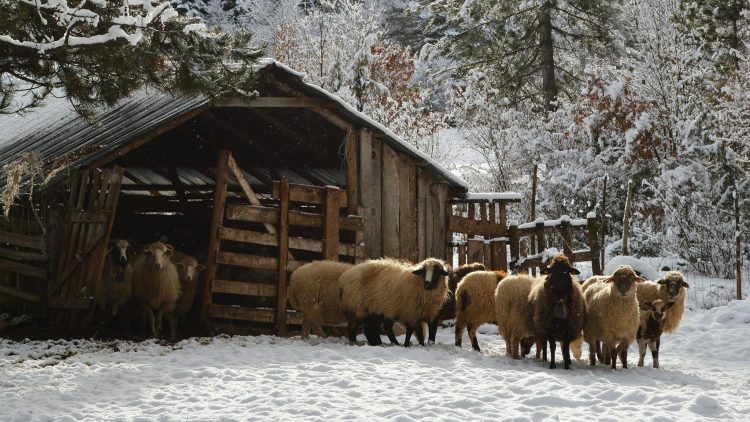 Located within a beautiful pine forest on the side of a mountain, Farma Sotira is a working trout farm with several small log cabins, beautifully aligned along a meadow. The dining area built in stone rests right over the trout stream that runs through the farm and furnishes it with the most delicious, fresh fish you will get to taste! Fresh meat cooked in embers as well as homemade dairy products are some of the best things from this great list of traditional delicacies. The farm’s homemade wine is amazing, too!